A modern update to an industrial warehouse type ceiling fitting sporting a riveted band surround in a brushed steel finish. 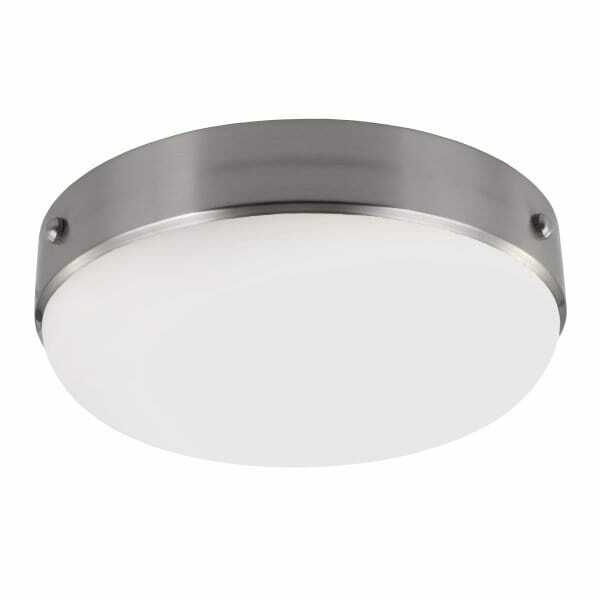 It has an opal glass shade and would be ideal for lighting in a kitchen or utility room. It is great for use in rooms with lower ceilings. It can be switched by a standard switch or dimmer switch.